THE POLITICAL MEANING OF INFORMAL URBANISATION IS A PEER-REVIEWED BOOK CURRENTLY BEING EDITED BY ROBERTO ROCCO (TUDelft) AND JAN VAN BALLEGOOIJEN. IT EXPLORES THE INTERSECTIONS BETWEEN INFORMAL URBANISATION PROCESSES AND POLITICS, PARTICULARLY THE POLITICAL STRUGGLES ASSOCIATED TO RURAL TO URBAN MIGRATION. THE BOOK IS STRUCTURED AROUND NARRATIVES ON THE URBANISATION PROCESSES OF DIFFERENT CITIES AROUND THE WORLD. EACH CHAPTER IS DEVELOPED BY AN INDEPENDENT AUTHOR OR AUTHORS AND PRESENTS AN ACCOUNT OF HOW URBANISATION PROCESSES (AND INFORMAL URBANISATION IN PARTICULAR) ARE ASSOCIATED WITH SPECIFIC POLITICAL STRUGGLES IN DIFFERENT SOCIO-POLITICAL REALITIES AND HOW GOVERNMENTS AND CIVIL SOCIETY ARE TACKLING INFORMAL SETTLEMENTS. On the other hand, countries in the Developed North have been struggling with the inability to redistribute the gains of capitalism. Financial capitalism seems especially ill-fitted to provide welfare for a larger swath of the population of these countries. Inequality is on the rise and so are different forms of urban informality that contest the status quo of urbanisation. Democracy’s success depends not only on the ability of formal institutions to respond to the legitimate demands and rights of its citizens, but it also depends on how these citizens are able to enter the political realm in order to formulate demands and claim their political rights. In this sense, informal urbanisation is not a solution for lack of housing in developing and developed countries, but a step for the formulation of legitimate demands and to the inclusion of citizens in the realm of politics. By this token, processes of informal urbanisation might lead to the affirmation of civil rights, to the reinforcement of the rule of law, to the inclusion of citizens in formal institutions and processes and might therefore result in the formalisation of the built environment. Along the way, however, informality may lead to conflict and oppression, as informal dwellers have initially very little rights and are most commonly in breach of the law when they build their dwellings in property that does not belong to them. The path to citizenship is long and sinuous. The aim of this book is to investigate the mutual relationship between struggles for rights and processes of informal urbanisation and subsequent formalisation in different socio-political and cultural settings. It tries to find a middle ground between two opposing perspectives on the political meaning of urban informality. The first, the ‘emancipatory perspective’, frames urban informality as a practice that fosters autonomy, entrepreneurship and social mobility. The other perspective, more critical, sees informality predominantly as a result of political exclusion, inequality and poverty. Is urban informality indeed merely the result of a democratic deficit caused by governing autocratic elites and ineffective bureaucracies? Or do we see urban informality as a fertile breeding ground for bottom-up democracy and more political participation? 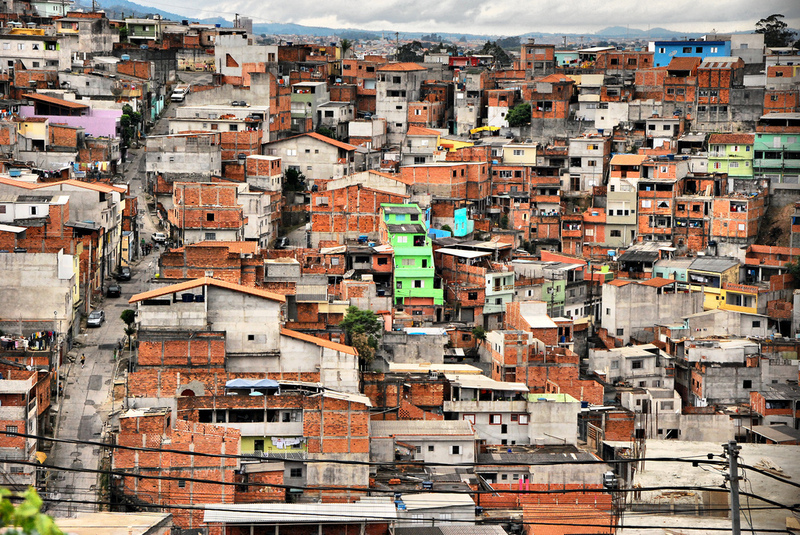 What are urban rights in the context of failing governments? Can markets provide sufficient and adequate housing to ever growing urban populations? What is the role of governments? We have invited scholars, practitioners and doctoral candidates from all over the world to submit proposals for chapters. Proposals were reviewed by the editors before being submitted to a group of senior reviewers. Selected authors are coached along the way to formulate narratives structured around specific case cities, illustrating issues related to the politics of informal urbanisation around the world. We have gathered a representative sample of cases from very different contexts in Latin America, Asia and Africa, and have included also a number of cases in Eastern and Western Europe, as well as North America, which also face specific struggles related to rising informality. PLEASE explore the complete book proposal by visiting the different sections of this website. Read the sections the BOOK, the PROJECT and EXPECTATIONS from editors. This initiative is related to the Research Cluster International Development at the Department of Urbanism of the TU Delft. It has ramifications into education and research in the Department. This Research Cluster is led by Roberto Rocco. ROCCO, R., & van BALLEGOOIJEN, J. (2018). The Routledge Handbook on Informal Urbanization. (R. Rocco & J. Van Ballegooijen, Eds.). London ; New York: Routledge. ISBN: 978- 1- 138- 18388- 9 (hbk) and ISBN: 978- 1- 315- 64554- 4 (ebk).